The Gyrokinesis method is a movement method that gently works the entire body, opening energy pathways, stimulating the nervous system, increasing range of motion, and creating functional strength through rhythmic, flowing movement sequences. It is an original, and unique movement method which has benefits & qualiies similar to those found in Yoga, Tai Chi, gymnastics, and dance. The Gyrokinesis method is practiced in group or private classes under the instruction of a certified Gyrokinesis Trainer, and can also be practiced at home with a mat, chair, and instructional Gyrokinesis dvds. Gyrokinesis classes are 60-90 minutes long. 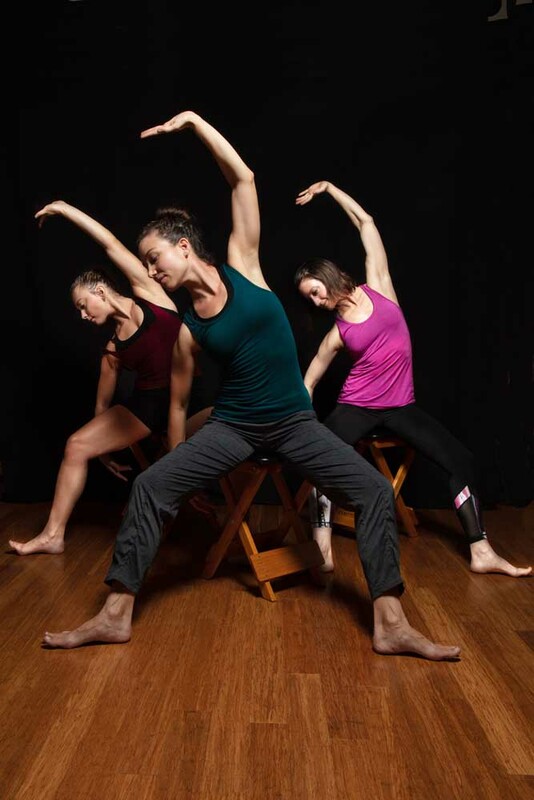 Each class begins on a chair with a gentle warm up sequence to awaken the senses, and stimulate the nervous system. This is followed by a series of fluid spinal motions which increase range of motion, and prepare the body to explore more complex movements with agility, and ease. Class continues on the floor with exercises that expand on the spinal motions, gradually adding more complex sequences, incorporating more movements of the hips, shoulders, hands and feet. The floor exercises are followed by a rhythmic standing sequence that incorporates balance, and cardiovascular exercises; then ends with a calming, unwinding sequence designed to prepare the body and mind to reintegrate with the every day world. Gyrokinesis classes can be adapted to fit anyone’s ability. The Gyrokinesis method is practiced by people from all walks of life, including accomplished athletes and dancers, college students, baby boomers, senior citizens, and people with disabilities.